It’s expensive to die. Which is why right now is the best time to start thinking about how you’re going to pay for your funeral. Proper planning is essential to eliminating uncertainty and ensuring your loved ones aren’t financially burdened when your time comes. Funeral insurance helps those you leave behind fund your final expenses. It’s your responsibility to cover the costs of your funeral, including the obituary, the ceremony, and your cremation or burial. Even if you were to leave sufficient money behind, there’s no guarantee that it can be accessed in time. Your family needs your funeral insurance money. There are a variety of funeral insurance policies available; the trick is to find one that best suits your needs. We’ll take you through the steps of deciding which insurance is best suited to your particular requirements, weighing the pros and cons of each option. Funeral insurance also referred to as burial life insurance or final expenses is a type of insurance where the cash benefit is paid to the beneficiary or policy owner on the insured person’s death. The cash proceeds can be used to cover the cost of your funeral or other costs as required. In the past, funeral insurance was only available as a stepped premium, which increases as you age. This resulted in policies being cancelled because pensioners could no longer afford to pay for their policies. 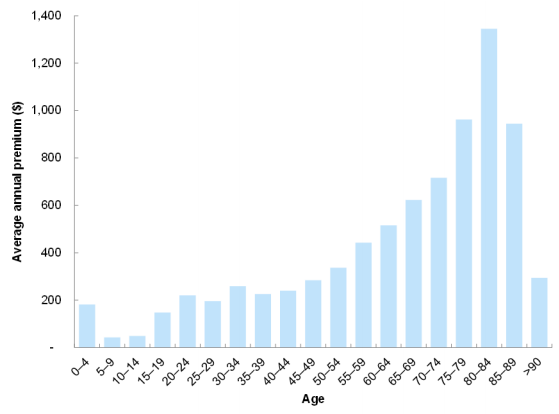 In 2014 a total of 72,091 funeral insurance policies were cancelled, which is clearly illustrated by the average premium per age group graph below. Source: Responses provided by insurers to ASIC. All persons insured as at 30 June 2013. Offering fixed premiums for the duration of the policy, so consumers would not have to pay escalating premiums when retired or on a pension. Providing consumers with an estimate of what a policy might cost them over the long term. Offering capped premiums, so that consumers will not pay more for their policy than the amount they can claim for. If you have an old style funeral insurance policy, it might be worth reviewing and comparing to some of the new types of polices. Can you change from an older style funeral policy to a new one? Yes, you can and a number of the newer policies will allow you to have no waiting period or accidental death period if you are replacing a like for like policy with the same sum insured. Important for you to review the pros and cons of your existing policy vs the newer ones and ensure it meets your needs as you may find the older style policy may still be of greater benefit to you as each person’s situation is unique. Does your Existing funeral insurance policy stack up? We can compare it for you! Generally, any Australian citizen between the ages of 17 and 80 years can apply for funeral cover. However, the entry age will vary depending on the insurer and product. Pays out a lump sum benefit anywhere from $5, 000 to $30,000, depending on your insurer. Pays out quickly, usually within 48 hours after a valid claim has been received, along with all the required documents. No need for medical exams or intrusive medical questions, most policies are guarantee accepted. A growing number of insurers now offer funeral products that promise you’ll never pay more than the sum insured. Select insurers offer the first 1 month free. You might receive a discount on your premiums if a family member also signs up for a policy with the same insurer. Who do they pay the benefits to? Your nominated beneficiaries or policy owner will receive the lump sum benefit (If the insured person and the policy owner are the same person the benefit will be paid to the estate). This person or persons can be a family member or friend, or you can decide to nominate the executor of your Will as a beneficiary. Depending on your policy you can usually name up to four beneficiaries to receive your benefit and choose which percentage each person will receive. How soon do my beneficiaries get paid? As soon as possible after your death, your primary beneficiary should contact your funeral insurance, provider. They’ll be asked to fill out a claim form and provide proof of death; this may include a valid death certificate or evidence from a registered medical practitioner. If the claim is approved, your beneficiaries could receive the lump sum benefit within 48 hours, depending on the insurer. You will be covered for any type of death worldwide. However, during the first 12 months (select insurers may require 24 months) of your policy commencing or being reinstated, you’ll generally only be covered for Accidental deaths. Thus, death due to natural causes will only be covered after 12 months. In this way, it is possible for insurers to keep your premiums as affordable as possible. When comparing funeral insurance policies in Australia, you should look at the combined value. To find the right funeral product you first need to know what types of cover is available. Secondly, be aware of the additional benefits each cover provides, so you know what makes one funeral plan better than another. Thirdly, look at the exclusions and make sure you know exactly what you are not covered for. The amount of funeral cover you need will depend on your specific requirements and how you want your funeral to be planned. According to ASIC, the average funeral costs between $4, 000 and $15, 000. Below is a quick look of the average sum insured people tend to purchase. The death certificate or medical practitioner’s certificate. Cremation or burial with or without the use of a funeral director. Venue hire and catering for the funeral service. To get help paying for your funeral, you might want to shop around and compare funeral cover types to find the best option for you. Some cover types might not be relevant to your needs. Even though a specific option seems most affordable, you need to make sure you understand the product. You have a number of options of purchasing either pre-paid funeral, a funeral bond or funeral insurance policy. Before deciding on one or the other, here are the basics of each funeral cover type and their pros and cons. Source: Responses provided by insurers to ASIC. Active policies as at 30 June 2013. Pre-paid funerals enable you to choose and pay for your funeral in advance through your local funeral director. This option usually appeals to people that want a bit more control over their funeral arrangements. The style and type of funeral are documented in a written contract and paid for at today’s prices. The pre-paid option allows you to choose the type of funeral you want, which might result in a more affordable option. Because you’re paying for your funeral in today’s prices, it will not keep pace with the rising costs associated with funerals. Your loved ones will have to work with what they get. Your loved ones won’t need to pay any additional amount for your contracted funeral, regardless of when the funeral is required. However, this is subject to the specific terms and conditions set out in your pre-paid funeral contract. If you decide to move to another city or country, the price of your funeral cannot be guaranteed. The amount you pay will be kept secure by an independent entity and properly invested until the funeral service is required, only then will the funds be released to the funeral director. If your death occurs interstate or overseas, there will usually be an additional fee for the transportation of your body. In the unlikely event that your chosen funeral director goes out of business, you can organise to have your pre-paid plan transferred to another funeral director. If you cancel your pre-paid funeral plan after 14 days of confirmation receipt, you will usually NOT get your money back. Generally, you have two options when paying for a pre-paid funeral. You can pay the lump sum upfront, or you might be given the option of paying the funeral director in instalments. A funeral bond is an investment product that helps you save for your funeral. Your money gets invested and earns interest, enabling you to accumulate funds to meet future funeral expenses. You can usually buy a funeral bond from a funeral director or life insurer. The investment grows in value over time and becomes payable on your death. A funeral bond does not guarantee against rising funeral prices. The amount you pay for your funeral bond will be exempt from any asset or means testing (up to certain limits), meaning it will not be included when assessing your eligibility for a age pension. The money received from the investment might not keep up with inflation. Similarly, the money you paid for the bond may not cover what a funeral costs when you pass away. The money can only be used for your funeral and can’t be taken out early, thus safeguarding it for your funeral. You may not get your money back if you decide to cancel the funeral bond. You can pay for your Bond in a lump sum or instalments. If you decided to pay in instalments and die before the bond is paid in full, you’d only receive what you’ve paid up until that point, including any money earned (if any) on the investment. Thus, your family might have to make up the difference to cover your funeral expenses. Before you sign any documents, make sure you’ve carefully read the product disclosure statement (PDS), and understand the costs associated with a pre-paid or bond funeral policy and any exclusions tied to it. Funeral insurance cover pays out a lump sum benefit upon your death, covering the cost of your funeral and related expenses. There are a variety of options available, but generally the best options are level, capped premium policies with a short accidental death period of 12 months or if replacing an existing policy there can be no accidental death period offered by select providers..
A funeral insurance policy is an insurance contract between an insurer, and the policy owner where it is agreed according to the policy terms and conditions (PDS and or policy documents) that the policy owner will make regular premium payments in exchange for a lump sum payment should the life insured pass away. You know exactly how much money your beneficiaries will receive and can plan your funeral accordingly. To keep up with the cost of living, benefit indexation may be applied, which you could opt out of if premiums become too expensive. Generally, funeral insurance will not cover death due to natural causes within the first 12 months of your policy commencing, depending on your provider. After your application has been accepted, you are covered right away for the full amount if death occurs due to an accident. Death caused by self-inflicted injury or suicide is usually not covered during the first 12 months of your policy. Many insurers offer a premium cap benefit, which means that once you’ve covered the cost of the sum insured, you won’t have to pay any more premiums. In certain circumstances, the amount your pay in premiums may be more than the total benefit payable. It’s important that you choose a provider offering capped premiums. No medical tests or questions are required, which makes the application process fast and easy. Acceptance is guaranteed if you satisfy the age and residency eligibility requirements and there are also no upfront costs you need to pay. If you decided to pay in instalments and die before the bond is paid in full, you’d only receive what you’ve paid up until that point, including any money earned (if any) on the investment. Thus, your family might have to make up the difference to cover your funeral expenses. Payments are usually paid within 48 - 72 hours of receiving a claim with valid proof of death, regardless of how long you’ve held the policy. Stepped premiums increase with your age and can become unaffordable if you are on a fixed age pension or annuity which may lead to you reducing or cancelling your policy as you get older. Some insurers offer you a choice of premium structures to help with affordability – stepped premiums that start off cheaper but increase each year or level premiums that start more expensive but stay more or less the same as you age. It can sometimes take a while for your beneficiaries to receive the payment if you can’t get the proof of death on a timely basis which can delay the payment. Select insurers would refund all of your premiums if death were due to natural causes within the first 12 months of your policy commencing. There is a limit to the amount of cover you can take out with any insurer which is generally $15,000. However, you can take out multiple policies with different companies. After signing the contract, you’ll usually have a 14 - 30 day cooling off period in which you can decide to cancel without any financial implications. If for some reason you stop paying your premiums or cancel, you’ll lose all the premiums you’ve paid up until that point. You usually have flexibility regarding how you pay your premiums, with a choice between monthly, fortnightly or yearly. Is funeral insurance a good idea? Funeral insurance is a good idea if you’re unsure that you’ll have money put away at the end of your life to pay for your final expenses. Even if you do have enough funds available, your family might not be able to access it straight away. Having appropriate coverage ensures money will be made available to your family. Funeral insurance can be worthwhile if you choose a newer type policy that has a level premium style, capped premiums and refunds premiums paid if you die from natural causes within the 12 months accidental death period. Each person’s situation is unique therefore consider funeral insurance policies that meet your needs. How long will my funeral insurance cover last for? Your funeral policy would usually come to an end when you die or on your 99th birthday. Your policy will also cease if you were to cancel or have failed to keep up with regular premium payments. Can I buy funeral insurance for my parents? Yes, you can get funeral insurance for your parents by taking out a separate policy for them as long as they are within the entry age limits of the policy. Alternatively, select insurers will allow you to add Parent Cover onto your existing life insurance policy as an additional option. How can my beneficiary lodge a claim? A death certificate of the deceased person or evidence from a registered medical practitioner that death has occurred. We make it easy to compare funeral insurance quotes online, allowing you to compare features and premiums side by side and help you find great value. 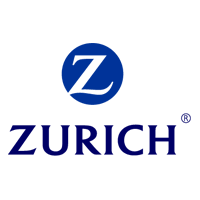 With Zurich Ezicover Funeral Advantage can I be the policy owner if my mum is the life insured? As Zurich Ezicover Funeral Advantage is a simplified product the life insured always needs to be the policy owner. Although you can have the power of attorney listed if being in control of the policy on behalf of your mum is a concern for you. My mum isn’t an Australian citizen, she is a visitor. she’s coming to Australia next week. Can I take out death insurance for her because she’s going to stay for one year. It will depend on the type of insurance she is considering along the Visa she is travelling on, her future intentions of residing in Australia or plans to apply for permanent residency / longer term visa. For further information please contact our office. Can we pay our premiums yearly but if we should die still be able to be refunded from the date of death for overpayment? Thanks for your question Elaine. To answer your question – Yes, you can pay premiums yearly and in the event of the life insured passing away, the life insurance company would likely refund the premiums back on a pro-rata basis. Example: Your annual premium is $600 per year and three months into the year of the insurance, the life insured passes away. You would probably expect to see approximately $450 (9 months) refunded in premiums on top of the lump sum benefit in the event of an approved claim. However, keep in mind that all insurers can be different and it is also important that the claim forms are lodged with the insurer in a timely manner in these situations. Hi, im an 83 year old female and i am after funeral cover. I have been unsuccessful in finding a company that will offer cover. Are there any options available for me at this age ? Hi Sarah, there is one option that we can provide to a person over the age of 80 and its called ‘Parent Cover’ from a company called Clearview. Therefore, an individual can take out a Life policy with Clearview and then insure both parents if they wish providing they are between the ages of 40-85. The minimum insured amount is $5,000 and the maximum is $15,000 and there is no expiry age. However, the individual must maintain their Life Policy for the Parent Cover to remain in place. The Parent Cover will also have the restriction in that Accidental Death is only covered in the first 12 months of the policy being in force and then after the first 12 months has elapsed any cause of death is covered being sickness or accident. If you would like to look at this policy please contact us on 1300 135 205 and one of our Life Insurance Specialists can assist you. Does your insurance company have a product named as Funeral Insurance please? I do live in Australia and I am an Australian citizen age 70. I have 2 funeral insurance policies with different companies, one with Apia and the other with TAL, is that legal? Great question, thank you for asking. The underlying insurer, or policy issuer, is the insurer which actually provides the insurance contract to the life insured. Often, policies will be branded under other company names. If you have more than one policy from the same underlying insurer, chances are there may be a clause stating the maximum amount payable when a claim is lodged from multiple policies with them. The best way to confirm underlying insurers is to read the product disclosure statement (PDS) of your policies. In your case, the current Apia funeral insurance policy is issued by Suncorp Life (the underlying insurer), while TAL issues their own funeral policies. Still, it’s best to carefully read your PDS to confirm. If you would like a consultant to help you with your review please fill in the quote form above. can you have 2 funeral insurances ? Yes in general you can have multiple funeral insurance policies. However it is possible that a particular insurer may not allow you have multiple funeral insurance polices with them. Therefore check the PDS of the relevant insurer to ensure this is not the case. Therefore most people get around this by having policies with separate insurers. Is the following FNB funeral cover underwritten by you? One of them I do not know anything about but I do not know which one. Hello. I think you might be referring to a South African funeral policy. Life Insurance Direct currently only operates in Australia and to my knowledge, FNB funeral is not Australian. Good luck. I hope you find the information you’re looking for. I am working on a university project and I would like to understand the business model behind the following funeral insurance set up. Once a person has paid the premium in full and stop paying, how exactly does the insurance provider make money, if I am still covered until the day I die (let’s assume I will die VERY old). How can they remain profitable with a scheme like this? First, funeral insurance policies generally remain active as long as keep paying your premium. I think you might be referring to a pre-paid funeral plan or a funeral bond. You can find out more information by reading our article on the different ways to cover funeral expenses.